Patiala, Punjab – Baba Daljit Singh, the head of ‘Guru Nanak Mission of America, Inc.’ became the center of controversy again after a Patiala based Kathakar alleged that the Baba swindled him out of 1.6 million rupees on the pretext of procuring a visa for him to the United States. In a written statement released to the press by Gurmail Singh of Patiala, along with related documents from the Human Rights Commission of Punjab, and the affidavits sent by the Guru Nanak Mission of America, Inc, it was alleged that Daljit Singh agreed to sponsor Gurmail Singh for the purposes of preaching in America at a cost of Rs. 1,600,000. According to Gurmail Singh, two other individuals, Ranjit Singh and Harvinder Singh, who were also to be sponsored along with Gurmail Singh, were also swindled of large amounts of money by the Baba. "When contacted by Panthic.org, Baba Daljit Singh declined to comment on the controversy, stating he had not seen the actual allegations against him..."
Gurmail Singh states that he was a former classmate of Daljit Singh at the ‘Gurmat Vidyala’ of Hari Singh Randhawa-wala, and in the past Daljit Singh has sponsored many individuals from Punjab, including several Singh Sahibs (Takht Jathedars.) Gurmail Singh states that that he too became interested in getting ‘settled’ in America, and the Baba ensured him that he too would get permanently settled there for a price. Sponsorship/Affidavits of Support sent by Guru Nanak Mission, Inc.
Gurmail Singh alleges that he secured a sum of Rs. 1,600,000 utilizing his life savings and selling family jewellery, and delivered it to the Baba on January 10, of 2006. Since then, Gurmail Singh states, the Baba has not been able to secure him a visa, and has also refused to return the money. Gurmail Singh alleges, when he demanded the money from the Baba, he and his family have received threats from the Baba and his associates, and thus has filed a complaint with the Patiala Police. Speaking to Panthic.org via telephone, Gurmail Singh requested that authorities in the United States should take action against the notorious Baba, and give the control of his property and Gurdwara to the local community. The Chicago-based Baba gained notoriety back in 2005 when he was caught red handed in a motel with another women, amidst a week long ‘Kirtan Darbar’ that was being held at his dera. (http://www.panthic.org/articles/2016). Due to the pressure from Chicago area sangat, he was summoned to Sri Akal Takht Sahib for his illicit relationship, but received a light reprimand, due his political and personal connections with the Jathdars. When contacted by Panthic.org, Baba Daljit Singh declined to comment on the controversy, stating he had not seen the actual allegations against him, and would only do so after he has ‘learned’ the details. The new allegations against the Baba provide further fuel for Panthic organizations who for years have been requesting Sri Akal Takht Sahib to take strict action against the Baba. Most doubt that any actions would be taken by the Takht Jathedars, due to their close relations with the Baba. This close proximity was recently illustrated when Giani Gurbachan Singh, the Jathedar of Sri Akal Takht, chose to stay at the Baba’s dera without any apprehension or hesitation. Why is this "baba" always in the News for negative things? I mean from being caught in a motel, to his gianis running away, to fraud, it's always negative. And the Jatherdar's go to his dera. Gurbachan Singh came to Palatine Gurdwara and when he addressed the sangat in the presence of SGGS, he said that he was in America all because of this baba. "with his bidaulat, we came to the U.S." That is lame. I am really tired of these fake sants and our Jathedar's who run after the money they steal from the sangat. This baba is pathetic. He tells people to stop coming to the gurdwara if they disagree with his womanizing ways. ... some of the Singhs that do kirtan and stay at his gurdwara smoke, drink, and eat meat too. This guy should be excommunicated but instead the jathedars visit his dera. After reading all these stories about this baba, one thing is clear that our panthak bodies are really don't care of our Panth, they are only behind money. These babas are always finding new ways to be rich, but on the other hand we all are right behind their success, as in the case of Gurmail Singh, why did he gave money to baba Daljit? If he did so why he is complaining now? Gurmail Singh is resposible for that as well as baba. Guru piareyo there is politics everywhere in our Panth now. Lets open our eyes wide and look in the deep of it. 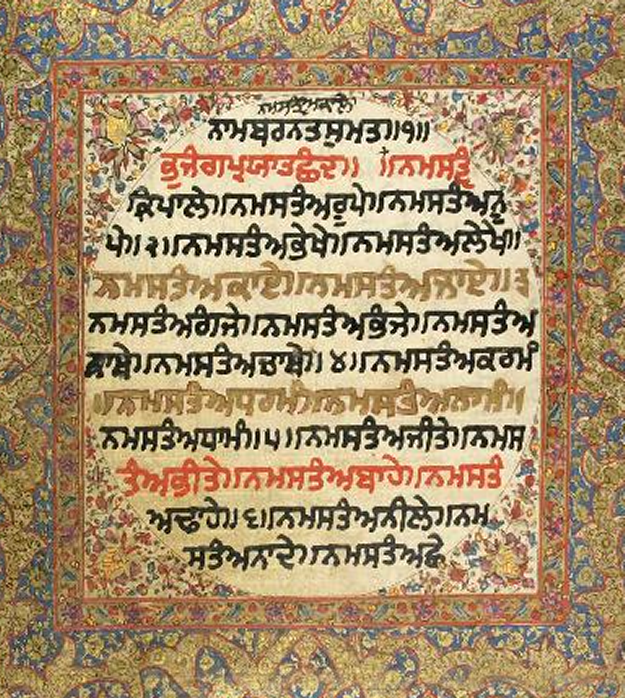 vaheguru ji ka khalsa, vaheguru ji ki fateh. Singh ji- this Baba used to stay at Gurmail Singh's house when he visited india and they were close. You must understand that Gurmail Singh isn't extremely educated, he studied at a Gurmat Vidyala with the Baba. Chicago Baba said it would cost 16lakh to get him to America and he said okay and gave it to him. Now this Baba has swindled his money. The worst thing is that the Jathedars visit his dera. He has been caught in a motel with a women and now this? And they still support him? The Gianis at his gurdwara drink and smoke. I have seen Harjant Singh (Granthi) smoking cigarettes in the gurdwara parking lot. This Baba is also involved in a lawsuit in the U.S. for unlawfully removing a member of the gurdwara committee when he called the Baba out on his misdeeds. He told the member to stop coming to the Gurdwara and called the police on his family. He removed his children off the stage while they were doing kirtan and called the cops. When they went back the next week, he threatened to cut them up if they tried to enter the gurdwara and called the cops again. Although he can't remove them legally, the family decided to stop going to the gurdwara because he called the cops every time. They have now filed a civil lawsuit against him for illegally removing the member from the committee. This pakhandi baba is an extremely low person.